Two years of my life. 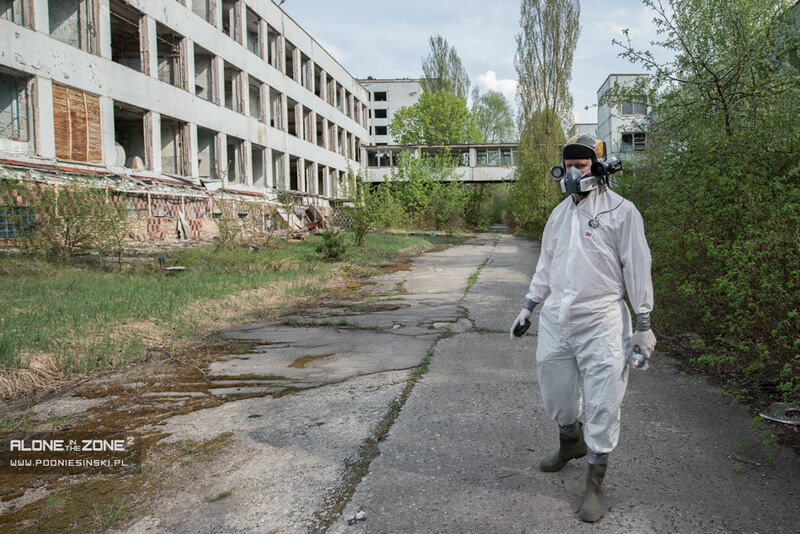 Five trips to the Chernobyl Exclusion Zone. Over a month in total. Weeks of trying to get authorisations, permits, approvals ‒ not always successfully. That’s when I send in friends who can do more than me, but when even they fail, I go in anyway. 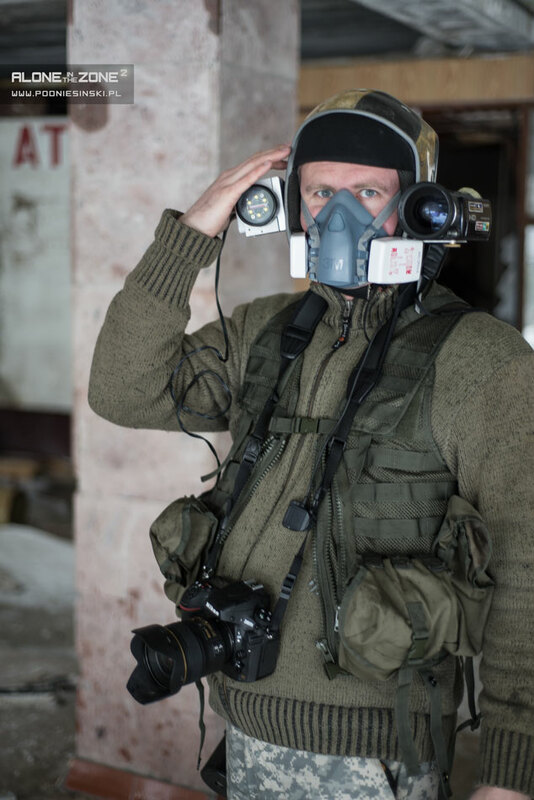 Like Stalker from the Strugatsky brothers’ book, or Major Degtyarev from the game S.T.A.L.K.E.R. I get into my off-road vehicle. I go everywhere in this. I’ve crossed the wilds of Africa, and I’ll even cross the radioactive zone. I make it to the most inaccessible and most dangerous places. Sometimes this results in forced decontamination, but it’s only a machine, it won’t get sick. 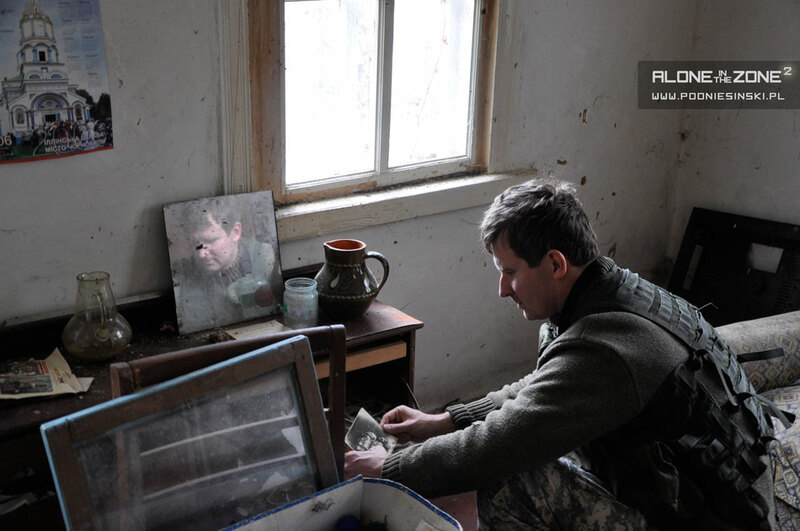 I also decontaminate myself often ‒ all the residents of the zone give me home-made vodka to try. 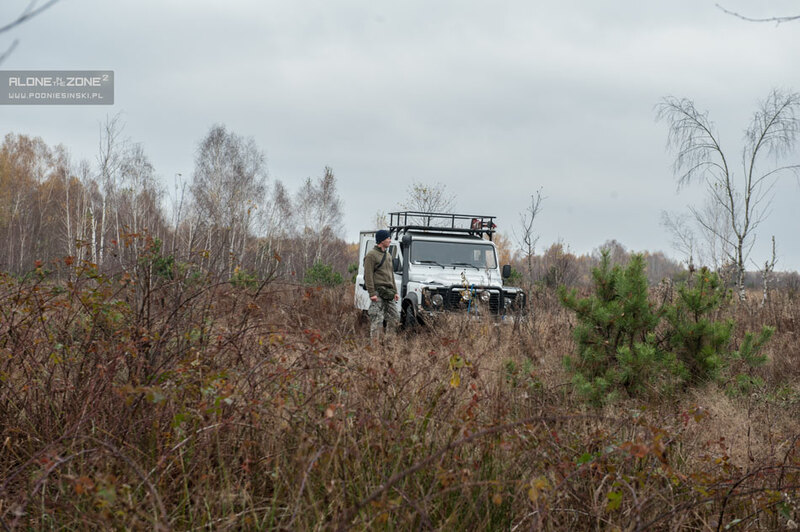 In the zone, somewhere on the Ukrainian-Belarussian border. 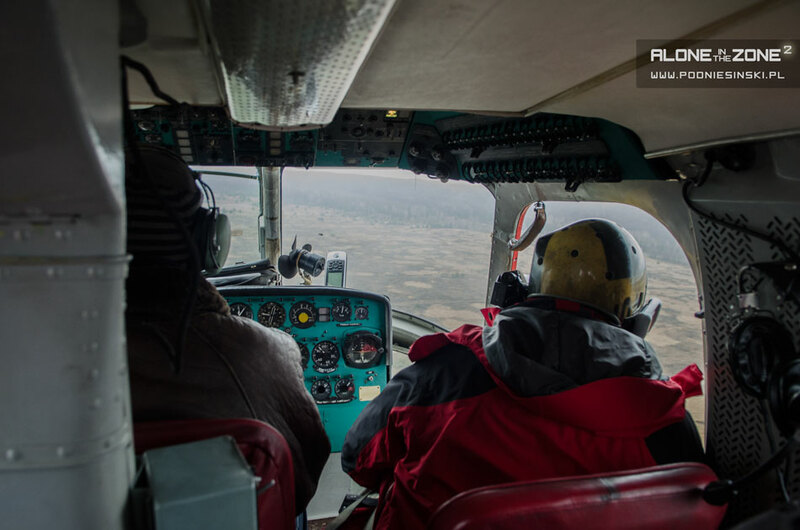 To see the zone from the air, from a wider perspective, I board a well-worn Mi-2. Instead of individual tower blocks, cottages and equipment, I see whole abandoned villages, thousands of abandoned machines. I see the whole of Pripyat. A ghost town. It leaves a truly electrifying impression. Flight in an Mi-2 helicopter. There’s some places you just cannot reach in a big helicopter. It is either too risky or prohibited by state regulations. 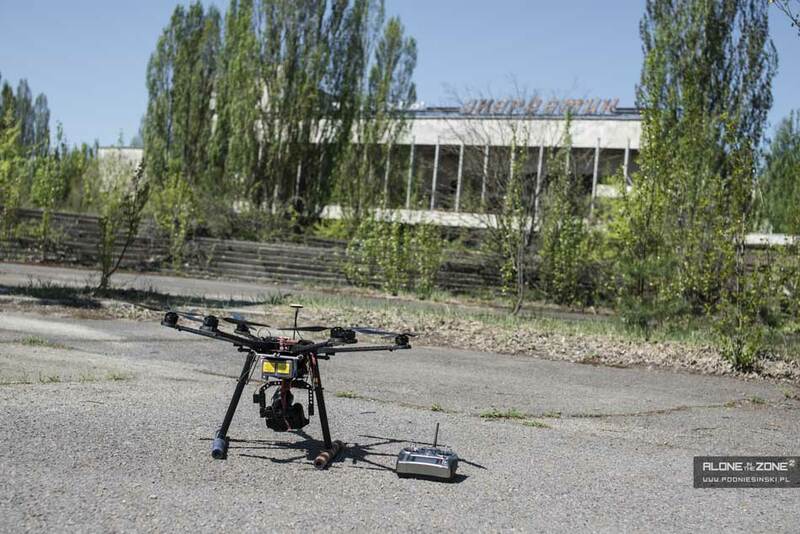 For these locations, I use a remote-controlled drone. It allows me to get really close. I can see more. The impossible is rendered possible. Remote-controlled drone ready to start. On the way I meet the re-settlers, the last inhabitants of the closed zone. 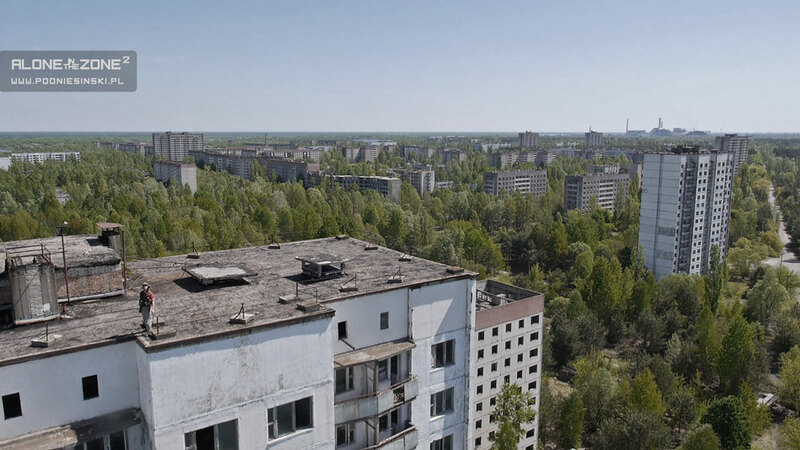 I hear their stories about a carefree life, the beautiful Pripyat. About times gone by, their dreams, what they miss. It’s moving to listen to the stories of forced re-settlement, losing homes, property, loved ones. About illness and death. I’ve long since stopped believing that 30 fire-fighters and plant workers were the only fatalities of the nuclear catastrophe. 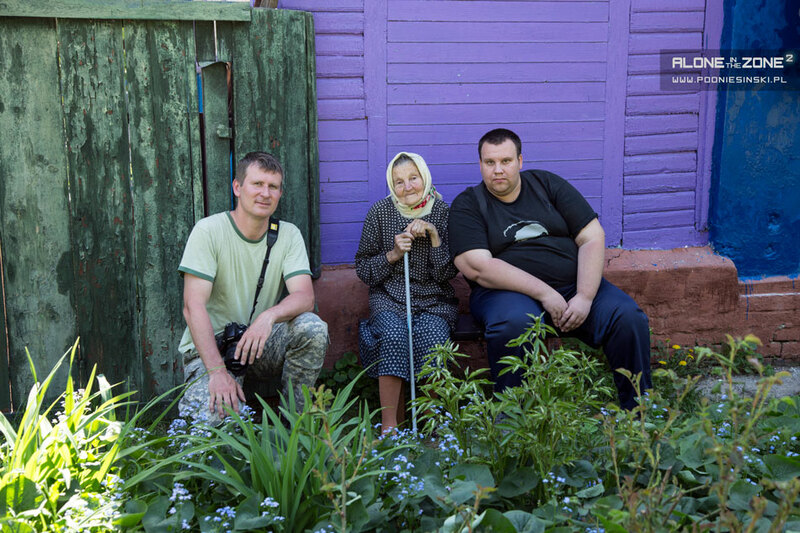 The last inhabitants of Zone 1, located closest to the nuclear plant. I visit closed sites, inaccessible to others. Rosocha: the biggest storage yard of radioactive vehicles. 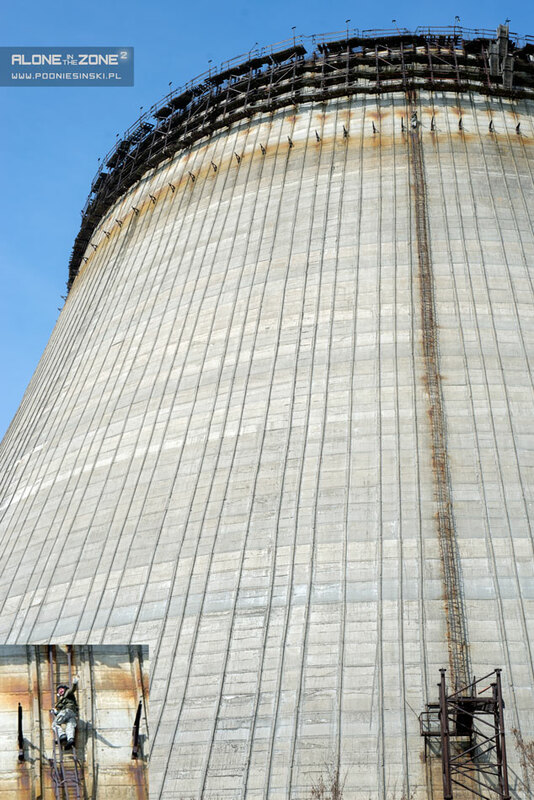 The nuclear power plant, where an unsuccessful experiment led to a catastrophe on an unprecedented scale. 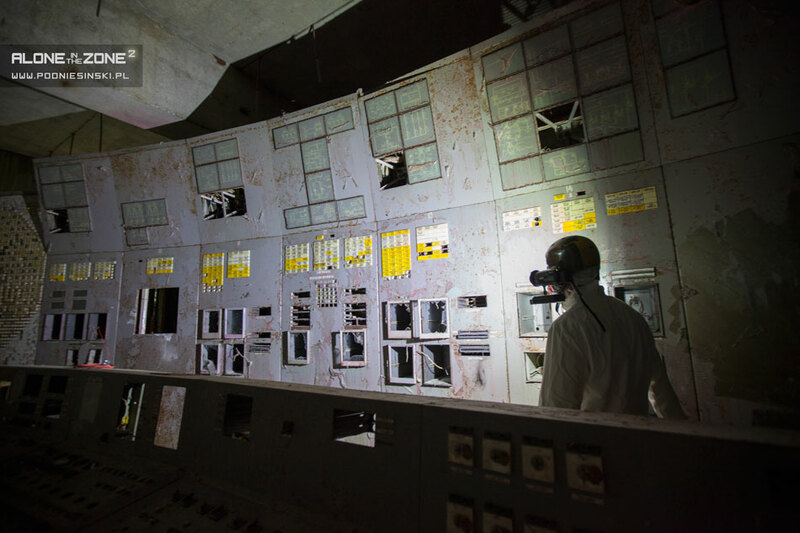 I go into the control room of block 4 ‒ the place where everything started from, where history changed its course. 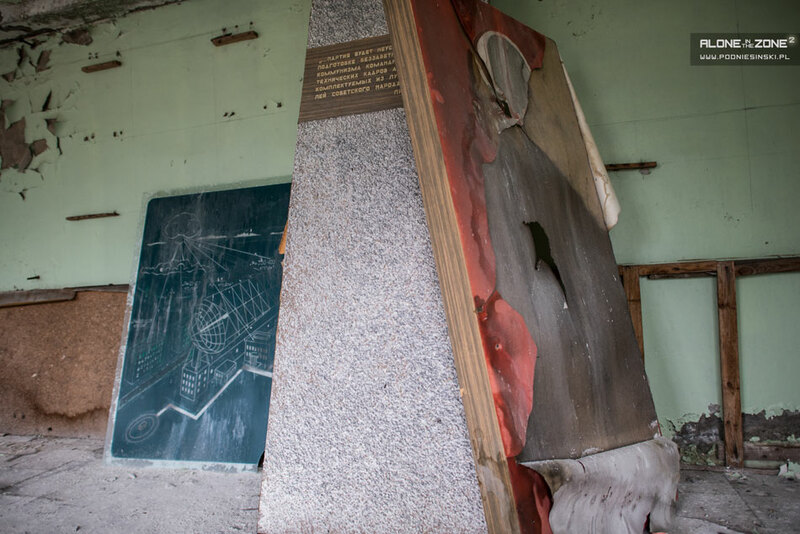 I also visit Chernobyl-2 and one of the most important elements of the system for early warning against nuclear attack: the DUGA over-the-horizon radar. This time I focus on the command centre ‒ military buildings and tools for analysing signals collected from the antennae. The inside of the control room of block 4. 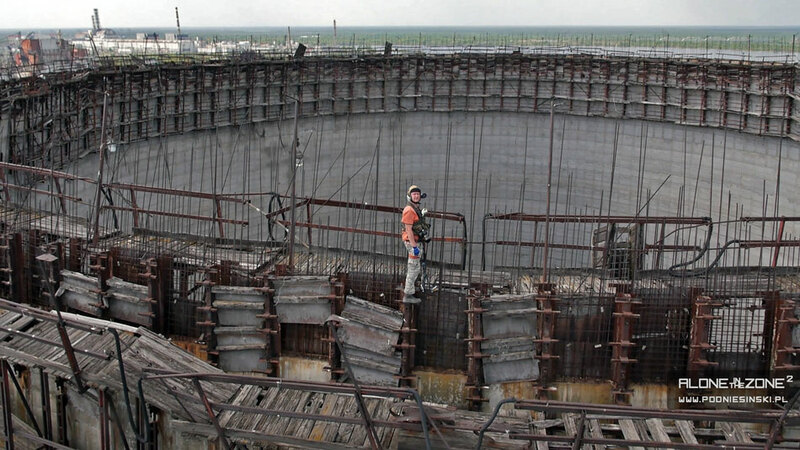 Chernobyl-2. 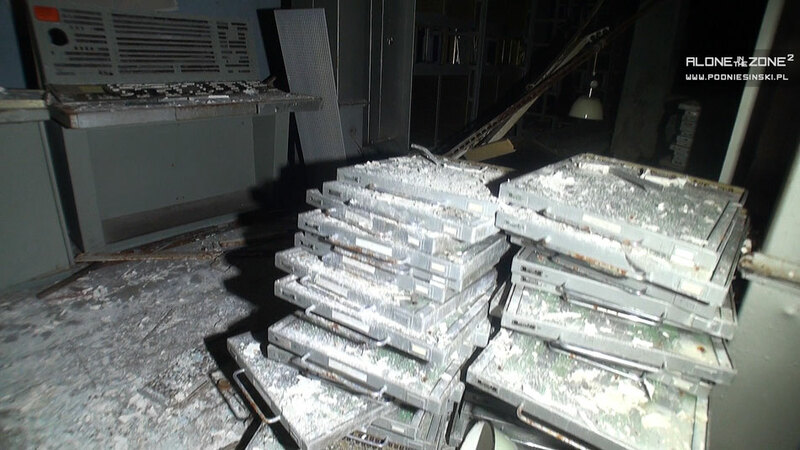 The remains of the ЭВМ 340A computer. Chernobyl-2. A diagram showing how the radar works. And a portrait of Lenin on the right. I comb the zone in search of radioactive traces of the catastrophe. In the basement of a flooded laboratory in the Jupiter factory I find a mysterious radioactive substance. But that’s only the beginning, a warm-up. Then I go to the Red Forest, the most radioactive place in the zone. I have no problem finding fragments of fuel from the destroyed reactor. Radioactive land and buildings. Plants and animals. Radiation is all around me, invisible, silent and impossible to sense in any way. But that’s not the only risk I face. 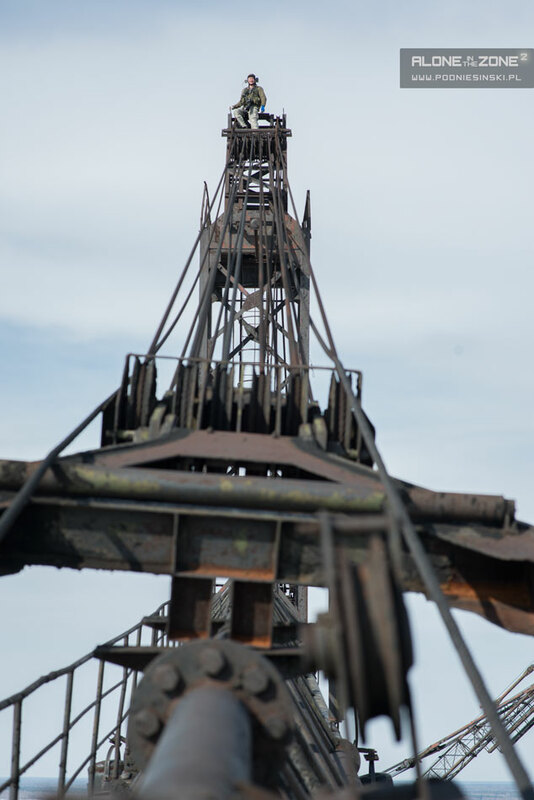 Climbing up high structures, antennae, cooling tower or cranes. I’ll remember the view of the abandoned city, zone and plant for the rest of my life. At the top of the cooling tower. 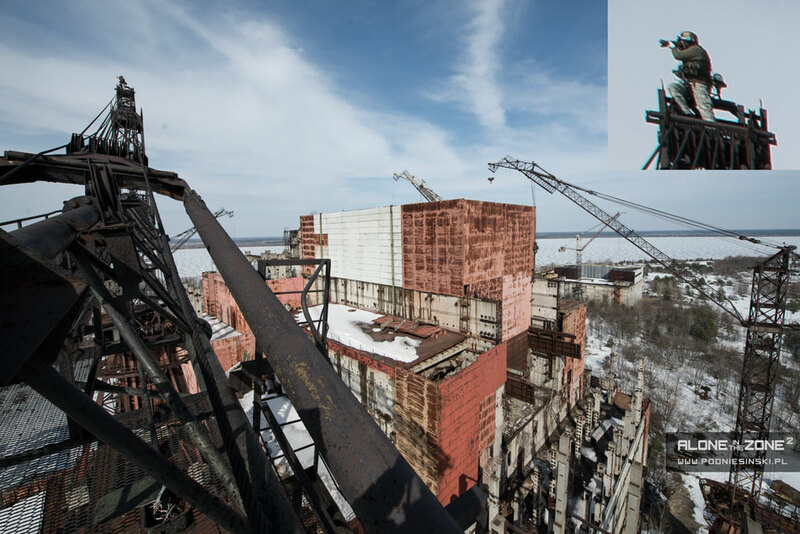 At the top of the crane on the terrain of the unfinished block 5/6 building. I’m never away from my camera; it’s mounted on my helmet. So everyone, not just me, can see the zone. The real zone and not only the places where official guides take you. To hear what the real inhabitants of the zone have to say and not dry statistics from institutions promoting nuclear energy. So that everyone can imagine what’s happening in Japan right now or what could happen wherever nuclear plants are, or will be, operating. The zone is huge. I never know what the next day will bring. What I’ll uncover, where I’ll end up or who I’ll meet. My GPS system helps me find interesting places and remember their coordinates. It also enables me to return home safely. 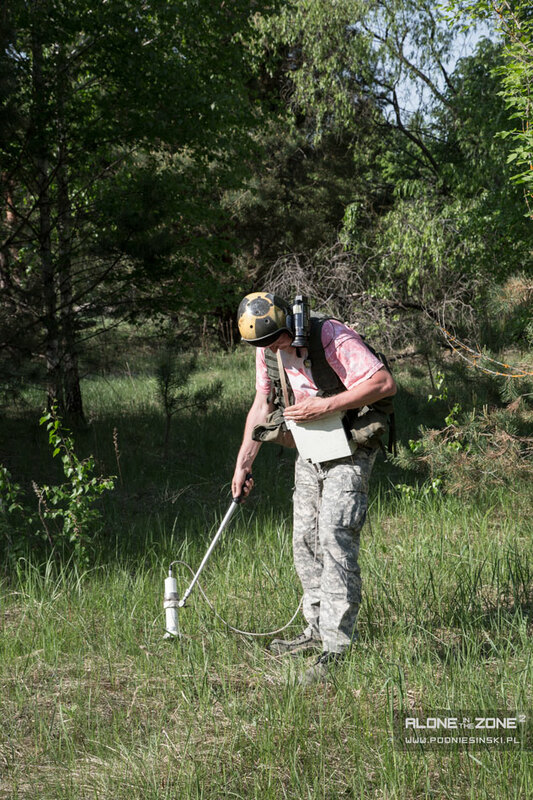 The dosimeter allows me to avoid many dangerous places where radioactive waste is hidden. It helps me keep a safe distance. I would never go anywhere without these two pieces of equipment. 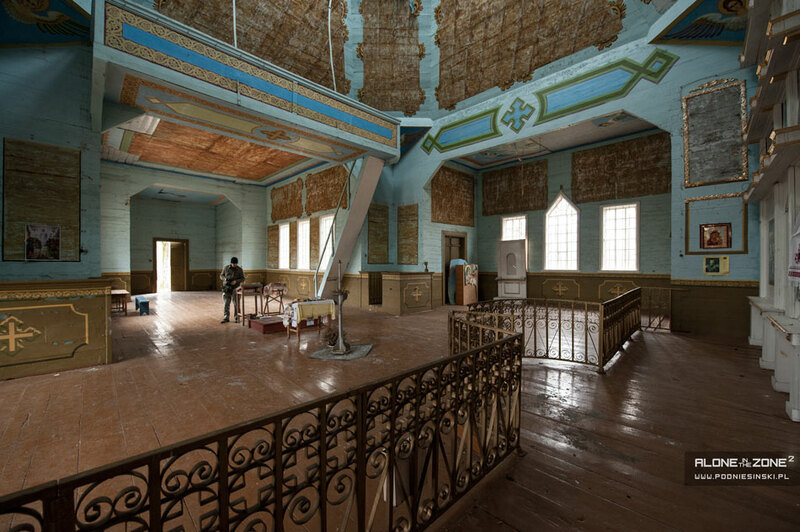 Abandoned church in Krasne village. Looking for abandoned objects (bookshop). Looking for abandoned objects (post office). One of the cottages from Zamoshnaya village. I gathered hundreds of hours of video when travelling alone through the zone and I wonder how to choose 90 minutes from this without missing anything important. Maybe I should listen to the advice of one of my readers? I have to find some kind of compromise. I chose the best, most interesting 3 hours. 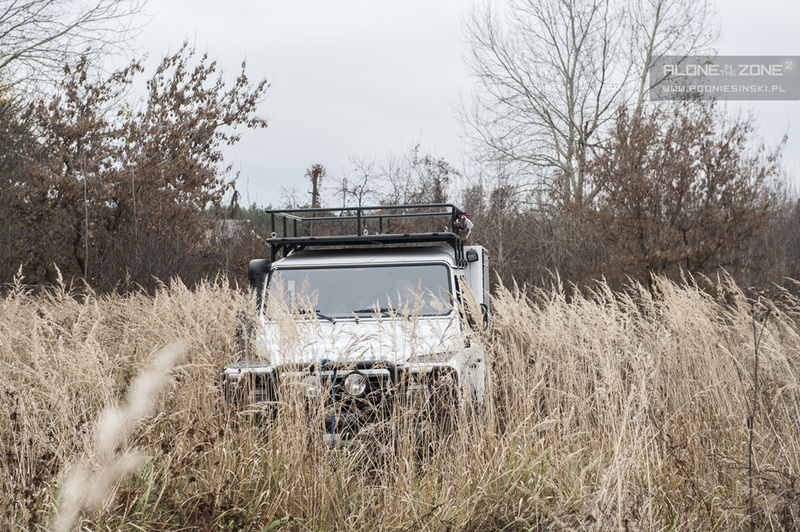 The essence of travelling solo through the zone. But it was still too much. This time I’m not making any compromises. It’ll be a two-disc edition! But before that happens I still have half a year of post-production ahead of me. Working with a composer on the music. Hundreds of hours spent on editing, finding information on the places I visited and their history. Attempts to identify found objects. 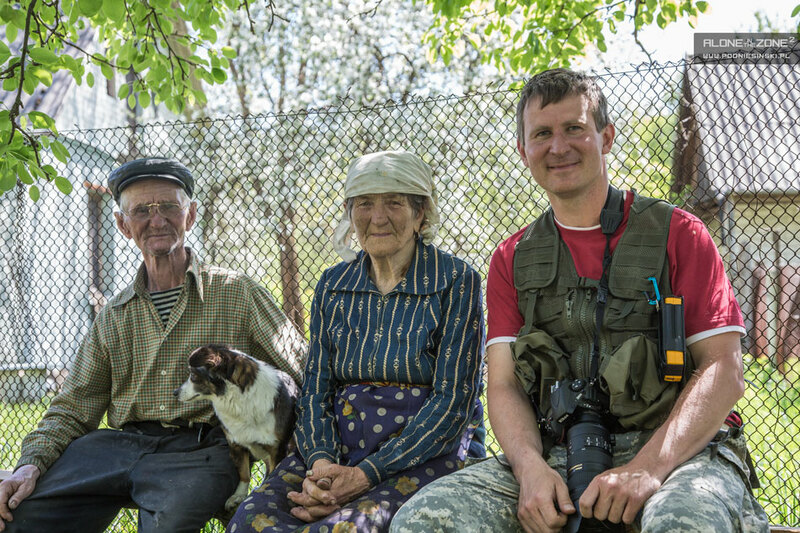 Interviews with former workers and residents of the zone. This wouldn’t be possible if I didn’t know Russian. The most reliable, true information comes straight from the witnesses of the events. First hand. I remember I hesitated about whether to start working on Alone 2. I thought then that sequels are hardly ever better than the first part. Good reviews of the first part of the film and requests from many viewers convinced me to produce Alone 2. Everything depended on getting permission to enter block 4. I risked it. Alone 2 should be made. I couldn’t leave it, just not show it. I don’t regret my decision. The opinions of people who have seen the finished film confirmed that it was the right move. People who worked on making the film happen or who were at the première screening which took place in the zone, of course. After all, where else could the première take place except in the heart of the zone itself. It had to be there. Just a few days ago. At night. 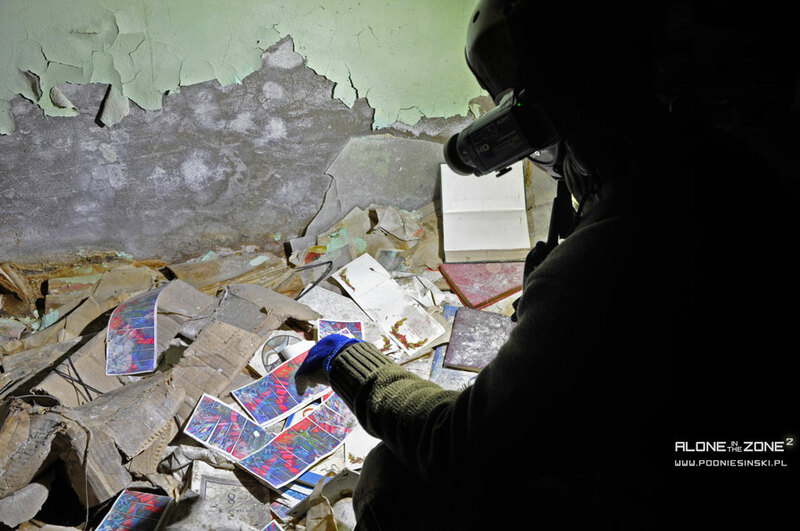 In an abandoned flat in Pripyat, with a view of the power plant. You don’t have to go to the zone to join me in this exceptional journey. Thanks to the views from the helmet-cam, you can feel like you were really there. You’ll be able to say “I was there” and no one can accuse you otherwise. In the film you’ll see places no one has seen before (well, almost no one). You’ll also see places no one will see again because they don’t exist any more. Everything to make you feel the real atmosphere of these places. You can also support me by buying the film. It will be a great purchase for people who are fascinated by issues relating to the Chernobyl disaster. 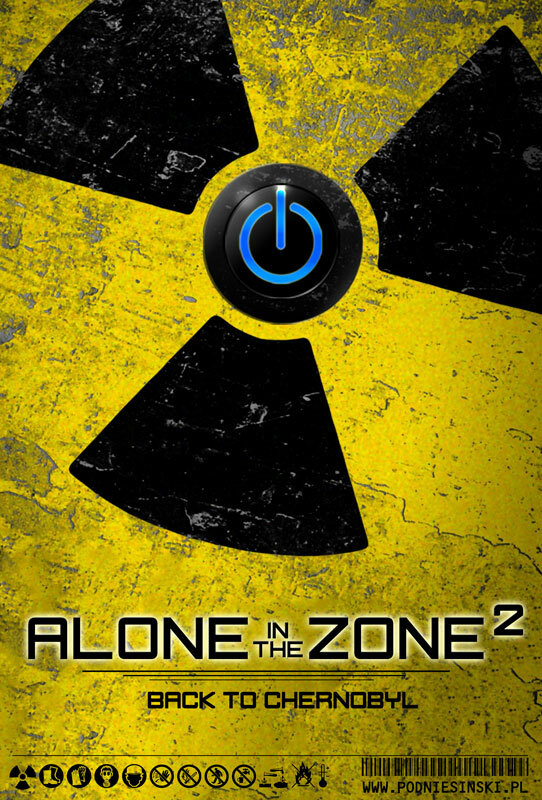 It will be an excellent guide for people who are planning or setting off for a trip to the zone. Or for people who can’t go because they’re underage, don’t have free time or just don’t have the courage :) The film would make a great present for fans of Call of Duty or S.T.A.L.K.E.R. 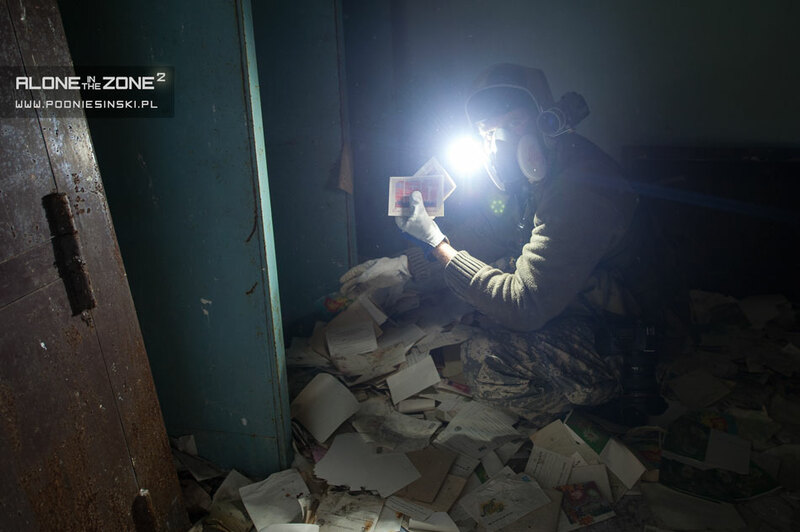 who want to see what the zone looks like in real life, how different it is from the version they know from games. And finally, the film could be a great Christmas present for yourself, your friends or family. Pre-orders have started and will last until 06/12/2013. But before you go to the next page, where you can make a purchase, watch the trailer first.